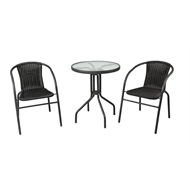 The 3 Piece Black Wicker Bistro Set is a contemporary setting perfect for creating a relaxing atmosphere on balconies, in patios, court yards and smaller gardens. 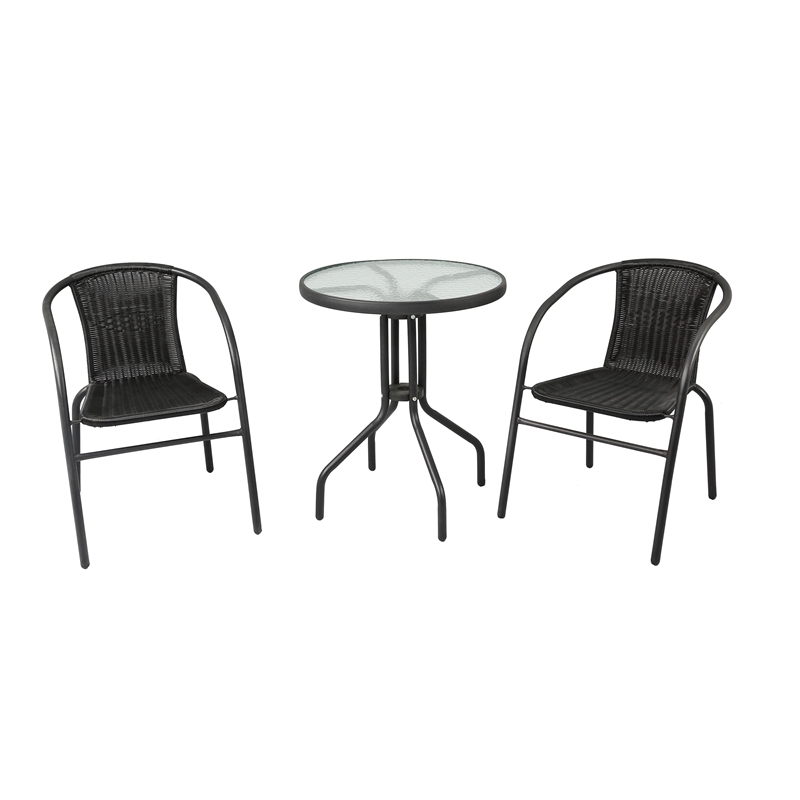 It combines two comfortable, mid-back height, resin wicker chairs and a round 5mm tempered glass table. Lightweight and stackable, you can easily move or store away this setting when needed.